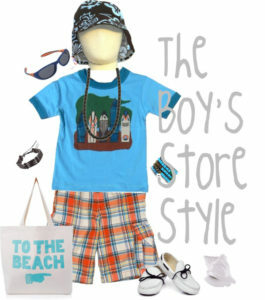 The Boy’s Store: Style Blog! Have you seen our style blog? While we love sharing fun arts and crafts, recipes, deals, and other fun things here all week long we also feature a fun style blog. Our style blog features outfits created from brands and items we feature in our store. You can check out or style blog for new looks several times a week! These new looks are styled and assembled with amazing photos. If you like the look you can try and duplicate it on our site, and then your son will be just a shipment away from a great and amazing new look. We know that sometimes it can be daunting to assemble your own amazing look. Even with great looks from Appaman, Flap happy, and City Threads it can be difficult to assemble an entire outfit. We aren’t all stylists. Lets face it, style is an art. I spend most of my day in the stereoty[ical mom-i-form; leggings, a t-shirt, and a mom-bun. How can I be expected to spit out stylish looks of my kids every morning? The fun of the Style Blog is that you can get a little extra help with styling amazing looks from some of our best in-stock items. We even pair them with some fun accessories. Now your boys can be styled without the extra hassle. Our styles also appear in our Instagram feed on occasion, so don’t forget to follow our feed for some amazing looks! Check out our latest styled look: To the Beach! This entry was posted in boys clothing, Featured item, Shopping and tagged boy shopping, boys clothes, boys store, boys style, Instagram, style blog, styles, the boys store, the sale blog on April 23, 2016 by Lacy.